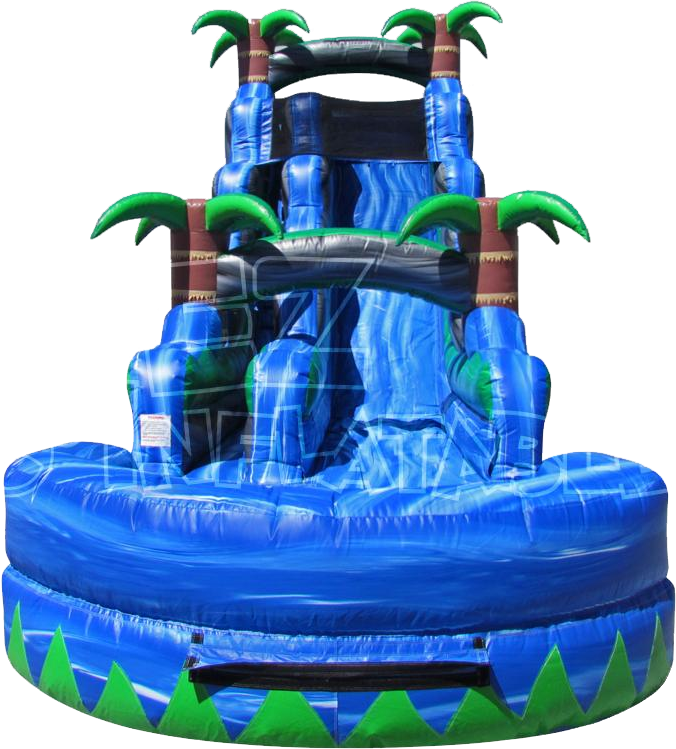 Summer is here and it's heating up, but we have a great way for you to keep your cool. 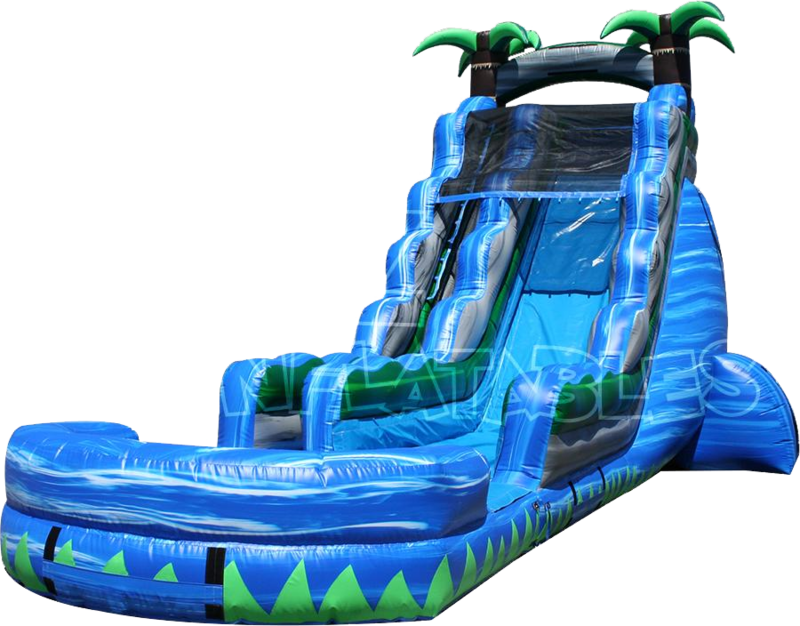 The 40' long Blue Crush is just what your Summer Party needs to let your guests enjoy hours of "fun in the sun" while keeping cool at the same time! Not Wet Enough For Ya? 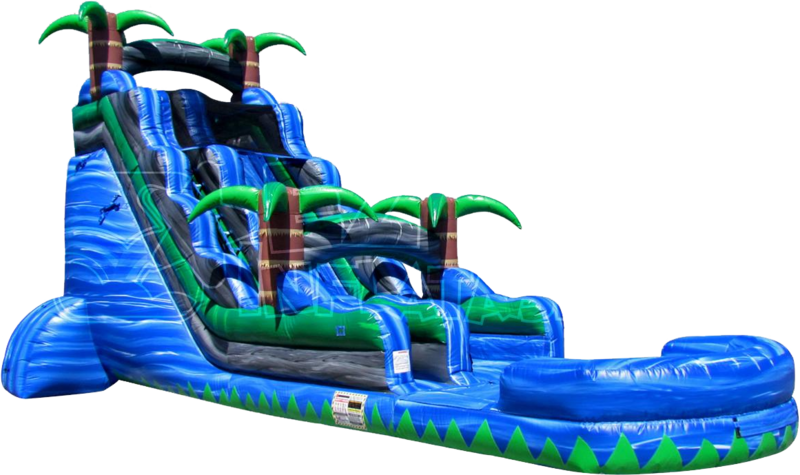 To really ramp up the wet–n–wild fun, rent The Blue Crush together with the Slip–N–Dip. 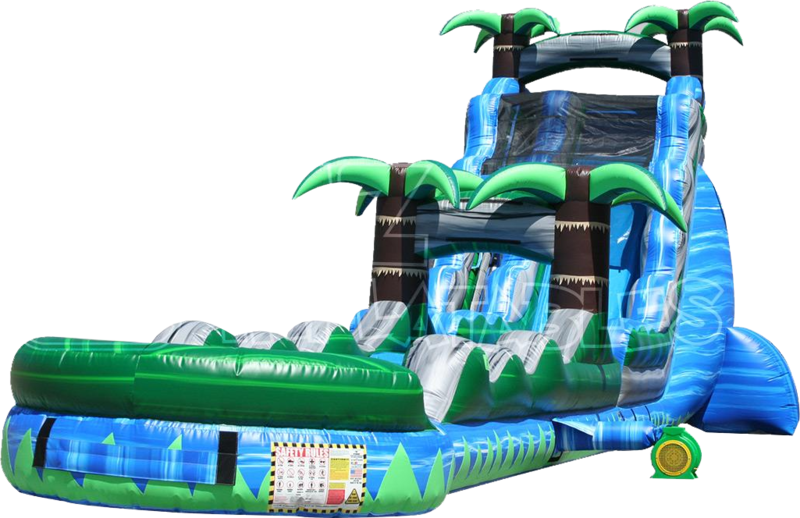 Your party will get wetter and better with 74 feet of cool, wet fun all tied together with a tropical theme. Summer just got even hotter, but you won't care!